It’s been over two months after Puerto Rico was savagely destroyed by Hurricane María. Already suffering an unprecedented debt crisis which pushed the U.S. territory into bankruptcy court, Puerto Ricans on the island have left in record numbers—putting into question the short-term and long-term solutions to Puerto Rico’s struggles. Are Puerto Ricans re-establishing roots elsewhere? Some suggest these latest moves are merely survival strategies and not permanent relocations. Whether leaving or returning, Puerto Ricans on the island and the diaspora share a common goal: to rebuild, restore, and preserve Puerto Rico’s cultural heritage. Many island residents with the resources to leave instead choose to stay, braving the hurricane’s aftermath despite lacking basic needs. Adapting is an unorthodox new normal that has led to greater solidarity in communities all over Puerto Rico. 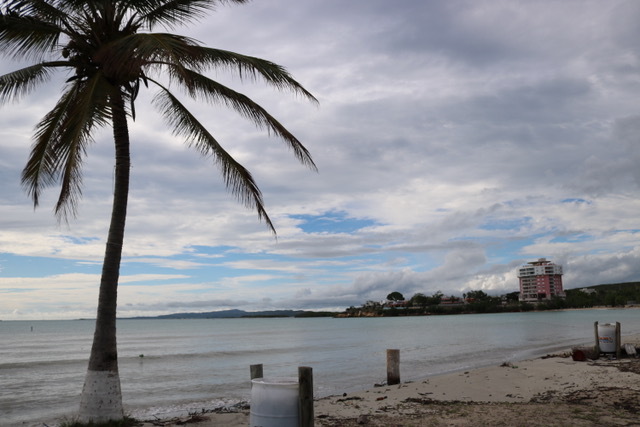 One place is the southwestern city of Guánica —home of Manglillo, El Bosque Seco and Playa Santa— where three Puerto Ricans who returned from the United States diaspora have all decided to stay. They shared their reasons why with Latino USA. Alexis Mattey is owner of El Badén Restaurant. He was born in Ponce and moved to the mainland United States when he was 17 years old. Having lived most of his life in York, Pennsylvania, at 45 years old, Mattey decided to return to Puerto Rico in March 2017. The recent transplant was prompted to come back to honor his roots while propelling the family business forward. “I wanted to keep the tradition of the family. This was a family-owned business and I just bought and kept it,” he said. Before his move back to Puerto Rico, Mattey owned other businesses. His experience managing finances and strategic enterprising helped him handle the weather emergency. 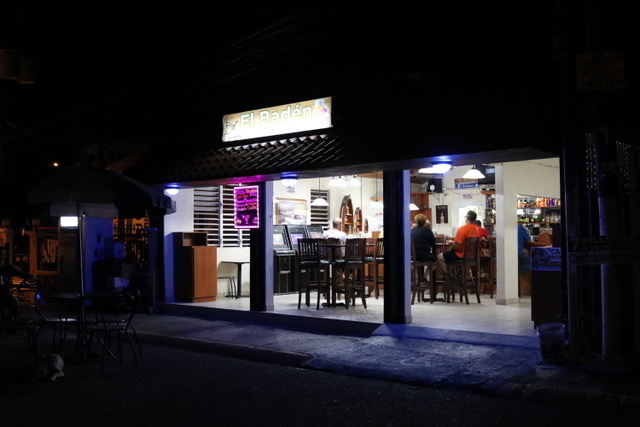 At the time of the Latino USA interview in late November, his restaurant was one of only two businesses opened in Playa Santa, Guánica. Mattey explained that he opened his restaurant the day after the storm hit on September 20. Meanwhile, other businesses in Guánica didn’t have generators, preventing them to serve the locals. Mattey is not alone. Julio Torres returned to Puerto Rico 11 years ago, after growing up in the Bronx. Torres is an artisan who sells his creations and other artifacts in Playa Santa. He witnessed how other businesses gave away food and fresh fish to feed the neighborhood, even after losing almost everything. Lourdes Ruiz Medina, a special education teacher for 33 years, was born in Brooklyn. Her parents sent her to Puerto Rico when she turned 17 years old. Along with the rest of her fellow teachers, Ruiz Medina went to their school to help clean it up, two weeks after María. “We did all the heavy cleaning —trees and everything— without the tools. We did it so we can reopen the school for the children,” she said. 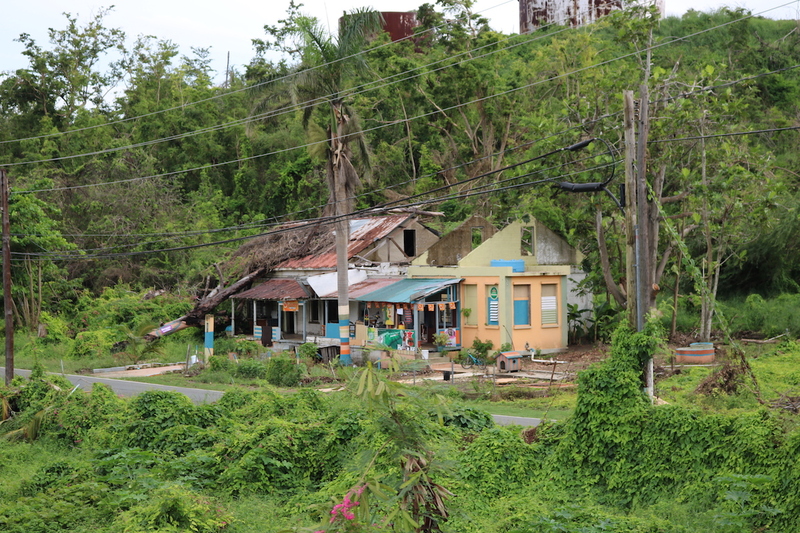 Even though the island’s schools have been affected, children are being taken care of, even when some of them still don’t have basic services in their homes. “I had a student who was in a shelter and I told her to come here so she can shower and eat. She’s in second grade. All she wanted was to shower and wash her hair because the shelter doesn’t have showers. I opened my home to co-workers as well,” Ruiz Medina said. On a practical level, many Puerto Ricans feel a sense of freedom to self-create and reconstruct. It has brought the positive in people. Whether helping a neighbor, teaching or running a business, María gave power to the people to make a difference.